My wife, Lori, and I are trying to eat more organic food. So I started an organic garden. We’ve been recycling our produce scraps into a compost bin. This is the second year for the garden, but the first year I’ve added the compost to the garden soil. It has been very interesting. This year, like last year, I’ve planted seeds. I have also planted two Romano tomato plants and one red bell pepper plant. I have four tomato plants that I’ve allowed to grow; and I have four pepper plants, although I am not certain the kinds of peppers which are growing. My recycling has produced many volunteer plants for the garden. 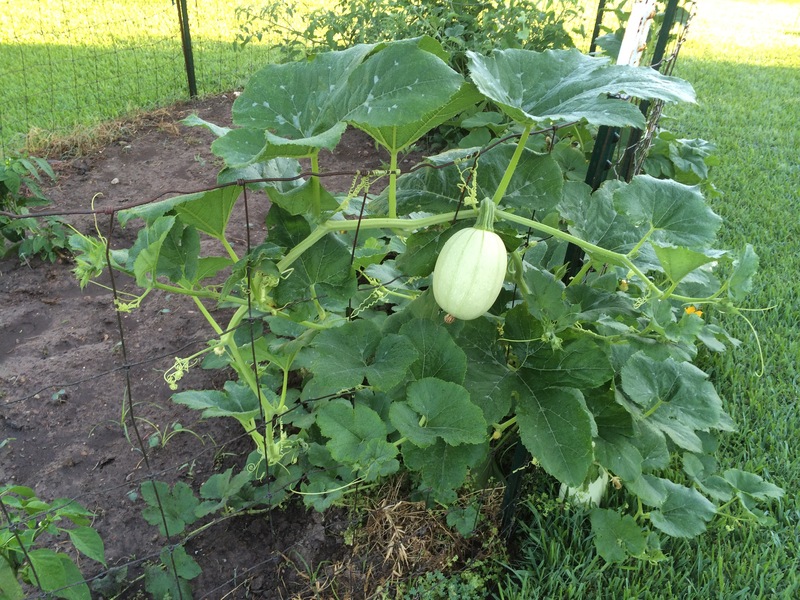 I also planted Armenian cucumber seeds along the fence. I expected it to be viny. So the fence would make a good support. The package claimed to be Armenian cucumber, with the proper picture of what we want to eat. Yet, the large fruit growing on the fence defies that expectation. I’m really puzzled as to what I have growing. Last year I sewed some cantelope seeds. Not all of them sprouted, so could these be cantelopes? The problem is that the fruit seems too smooth for cantelope and not slender enough for Armenian cucumbers. Moreover, these plants are exactly where I planted the cucumbers! Either the seeds were placed in the wrong package, the cucumbers go through a shrink stage, or something else we’ve recycled is growing. What that could be, I have no idea. I’m waiting for this fruit to reveal its identity, along with the other peppers. For now, I am growing a mystery garden. I find that my life, and perhaps yours also, is much like a mystery garden. There is much in my life over which I have no ultimate control. I have planted good things. Yet things pop up which I have not planted and which I cannot control. I can make good choices and turn away bad things, yet I cannot control other outcomes. There is much of my life and my future I have to leave in God’s hands. What does my garden look like at this moment? I’m 61, married almost 40 years to my “getting close to 60” wife. We have an adopted son, whom we love. Yet, we have no biological children because our “seed” never sprouted. Likely that will not change. Our garden is what it is. There are other things in my life, things that are personal to others and therefore I’m not sharing, which pose difficulties for me. They cloud my future with uncertainty. Yet, I have known God for some time. He always assures me of His love and that He holds my future. Whatever pops up in my life’s mystery garden, God is able to handle. My confidence lies in knowing my life belongs to Jesus Christ, and He holds my future. I hope you will find this same confidence in God for whatever life throws at you.